Courts in such writ petition cannot reopen the conclusion already arrived at by the Supreme Court while confirming the death sentence, but may consider the question of inordinate delay post such confirmation that delay unexplained, unreasonable and inordinate at the hands of the executive authorities, without anything more, can even be a relevant ground for quashing the death sentence, the Court said. Guahati High Court has commuted death sentence of a convict into imprisonment till the end of his life. First bench of the High Court comprising of Acting Chief Justice T. Vaiphei and Justice C.R. Sarma said that unexplained, unreasonable and inordinate delay at the hands of the executive authorities in itself can be a relevant ground for quashing the death sentence. Holiram and some others were found guilty of killing Narayan Bordoloi and his 6 year old son Nayanmoni and his brother. Narayan and Nayanmoni was burnt to death and his brother was cut into pieces. Trial Court convicted in 2004. His conviction was upheld by the Apex Court in 2005 for a crime he committed in 1999. Thereafter, he preferred a mercy petition to both the Governor of Assam and the President of India, which got rejected after a lapse of nine years in 2013-2014. 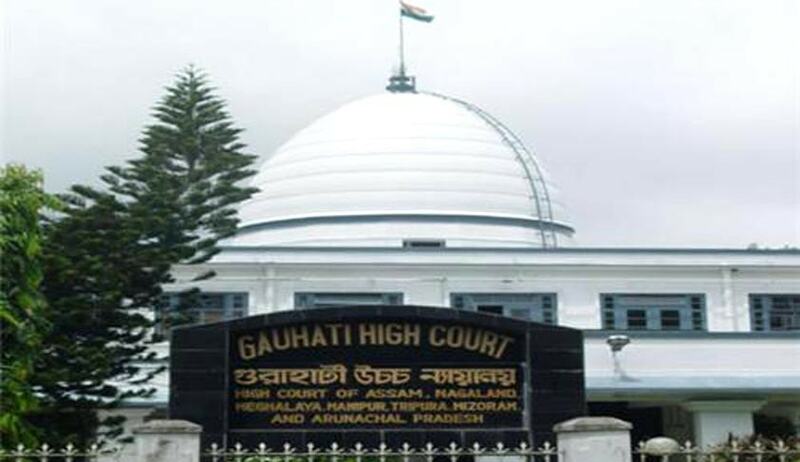 Citing this inordinate delay in carrying out the death sentence and in disposing of his mercy petition, Holiram preferred a Habeas Corpus petition in Guwahati High Court. Rejecting the contention of the State that delay alone cannot be a ground to set aside the death sentence, the Court said that it can consider the question of inordinate delay post confirmation of death sentence and that delay unexplained, unreasonable and inordinate at the hands of the executive authorities, without anything more, can even be a relevant ground for quashing the death sentence. The Court also said that there is a distinction between the consideration for examining mercy petition laid before the Governor or the President and the jurisdiction of this Court to examine the effect of the inordinate, unexplained and unreasonable delay in not disposing of the mercy petitions by the Governor and the President. The Court observed that the Government has admitted that there has been inordinate delay in disposing of the mercy petition. The Court said that, after completion of the judicial process, if a convict files a mercy petition to the Governor/President, it is incumbent on the functionaries to dispose of the same expeditiously. The Court added that the period of 9 years and 3 months taken by the Governor and the President in disposing of the mercy petition of the petitioner could not be considered to be a reasonable exercise of discretion by the two constitutional functionaries. The court also observed that during this time period, the petitioner developed coronary heart disease and gall bladder stones, and also suffered two heart attacks in prison.